Dallas Independent School District (Dallas ISD) and the Brewer Foundation Future Leaders Program (FLP) have agreed to renew a one-of-a kind partnership for the upcoming five years, and together provide educational access for minority students. The FLP is an innovative public-private partnership that is the first of its kind ever offered in Texas. The program partners teachers and administrators from Dallas ISD with those from St. Mark’s School of Texas, The Hockaday School, Episcopal School of Dallas, and Greenhill School. Founded in 2001 by the Brewer Foundation, the FLP is an academic and leadership development program that benefits nearly 250 students, ages 10 to 18, from urban communities within Dallas ISD and more than 60 FLP alumni attending college. Nearly 85 percent of all FLP participants are (or will be) first-generation college students. The FLP student enrollment is approximately 70 percent Latino and 25 percent African-American. 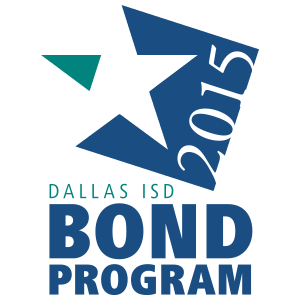 The program is offered at no cost to Dallas ISD student participants. The FLP was recently recognized as one of the leading programs of its kind by the National Partnership for Educational Access (NPEA). In April, the program was one of 25 featured organizations at a national conference at Wesleyan University focused on improving educational access for minority students. FLP classes are offered weekly on the campuses of the program’s private school partners. Dallas ISD partner schools are primarily located in South Dallas, West Dallas and Oak Cliff. The FLP curriculum is progressive in nature. Program participants attend Saturday classes during the school year that supplement their regular coursework in core subjects such as English, Technology, Mathematics, Computer Science, and Leadership. As the students advance through the program, they receive instruction to prepare them for college entrance exams. They also receive counseling on the college admissions process, financial aid, and future career choices. A summer workshop for 9th – 12th graders focuses on leadership skills, writing, and building a personal “roadmap” for success in high school, college and life. The FLP benefits from a dynamic management model. Public and private school administrators form an advisory board that works with FLP administrative staff from the Brewer Foundation. More than 50 public and private school teachers serve on the faculty. An 8:1 student-teacher ratio ensures that every student receives hands-on attention. The real measure of the FLP’s success is its graduates who attend accredited, four-year colleges and universities. To date, 142 FLP alumni have received more than $11 million in scholarship offers and 616 college acceptances. FLP graduates have attended colleges such as New York University, Colby College, Amherst College, The University of Texas at Austin, Pomona College, and Southern Methodist University, to name a few. To learn more about the FLP, visit www.futureleadersprogram.org.